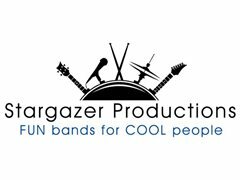 Dallas and Austin based Production Company is currently hiring male and female singers for good paying cover/show bands. This opportunity requires a money-motivated, committed and reliable person that is willing to travel on weekends around Texas and the Southeast. Clubs and corporate gigs will allow you to quit that day job. Shows are usually Fridays and Saturdays, but on occasion there may be other days. Optimal candidate should have youthful appearance GREAT attitude and willingness to perform with an energy and enthusiasm. Music ranges from 70's to modern Top 40. Must be able to sing a total of 3-4 hours a night. Must have a marketable image. Please respond with photo, Facebook link, etc. Bands practice 2-3 times a month.